Spanish moss doesn’t hurt the tree. It gets nourishment from the air, sun, and rain. As for today, even Wikipedia can’t find a good use for it. “Sometimes used in decoration and gardening.” Not a strong market. I’ve been schooled. More uses than expected. 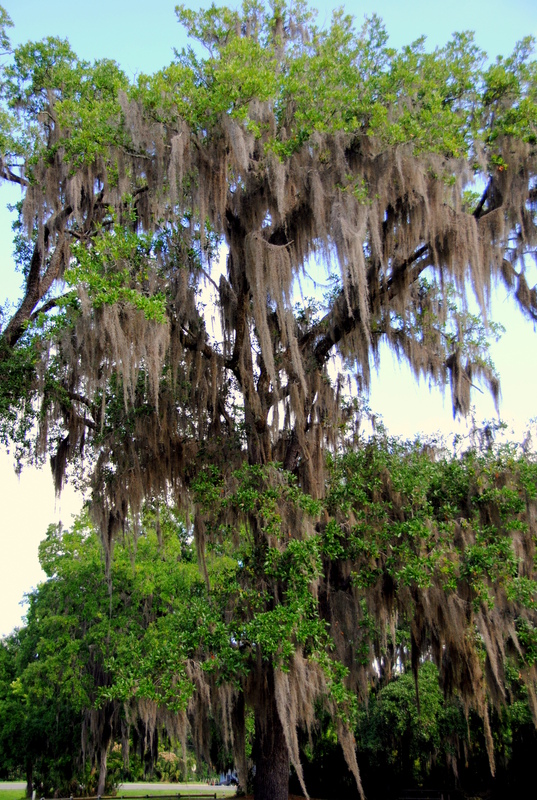 It may have been used for all those things, but where Spanish moss really shines is as a Halloween party decoration. When my mom lived in Kansas, she actually had her sister in Florida mail some to her for her Halloween party!